Mail has been piling up since being stuck offline for the past several days! Sock knitting bag from Trek... Love it! I think she calls this her "retro chick" fabric. I couldn't be happier with either of my swaps with her. I also picked up a set of Lantern Moon ebony dpns in US 1 & 2... I was surprised that the wood wasn't black but brown, and had to ask to double check that these are ebony. I like them, but I prefer the black, matte Susanne's needles I have-- the LMs have a coating or a seal on them that I find sticky (probably won't after a good amount of use), and I like the slide of the Susanne's more. The LMs are nice though-- I like their weight, just don't compare to the Susanne's I guess (they feel like completely different woods). I wish the Susanne's came in US sizing in sock sizes... only US 1.5 & US 2.5 (2.5mm & 3.0mm). I think I'll use all 4 balls for some "real" knee high socks, thinking kilt hose inspired ones. From a stash reduction. I've never seen this in person, very nice! 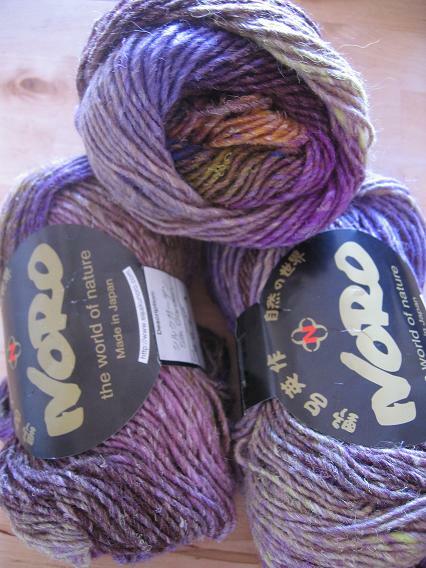 Makes me want to try the new Noro Silk Garden Lite for some dk weight socks... A scarf? A worsted weight pair of socks? Short row hat from Interweave Knits (PDF!!)? Fingerless gloves? Too hot to think about it right now. It was a heck of a deal though, with 10% off (1st time customer coupon, available when you register) and USPS 1st class shipping, less than $11. Diva Knitting is also a VERY fast shipper, she sent me a "shipped" mail update only a few hours after I placed my order. Aside from the Pomatomii, I wanted to try & reteach myself Magic Loop... I am thinking about buying an ebony circular for MLing and wanted to see if 32" is long enough for it (the longest size I could find), so I made some tiny ML fingerless mitts from some leftover Socks That Rock (mediumweight, carbon colorway) with my baby cable rib sock leftovers for the little one (who refuses to wear them-- smart as its you know, SUMMER and all...). 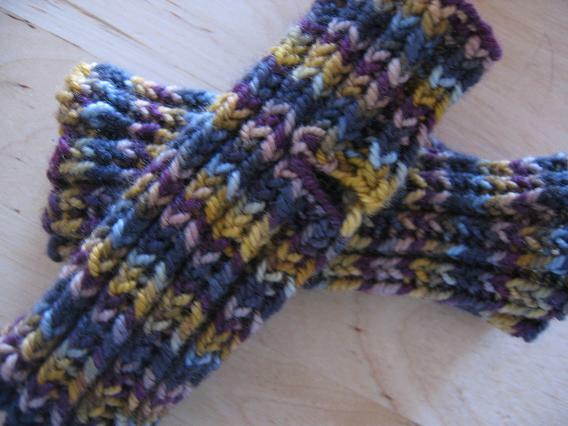 Knit on US 4's with a one row buttonhole (version #4 from knitting.about.com). My littlest has left made me those same kind of pictures as well! Sorry I can't help with any ideas for socks on circs - never tried it or magic loop. Only ever done plain old dpns! Nice Noro! I've used Silk Garden for a scarf but don't think I would consider it for socks. It's a little too uneven and loose. I doubt it would wear well. Too bad, because the colours are great! I want to try silk garden sometime, it looks so nice. I am so glad that you like your bags!! Omg, that artwork makes the mom in me squeak! Good luck cleaning that off! Nice, um, picture your son made you. I don't get the Opal thing, either. Let us know if you find out what the big deal is. Heh, I was trying magic loop again last week and decided that it is at least as fiddly as 2 circs, if not more - so I'll stay with 2 circs. It would be magic if the loop didn't require such fussing with! I hear ya on the Opal - it makes my fingers hurt when I knit with it, but Trekking doesn't - and I think both yarns wear equally as well. Plus, Trekking doesn't seem to discontinue colorways quite as speedily as does Opal. EEk! I've had those marks on walls before! Nice yarns there! My clapotis is in silk garden...well all 6" of it LOL! 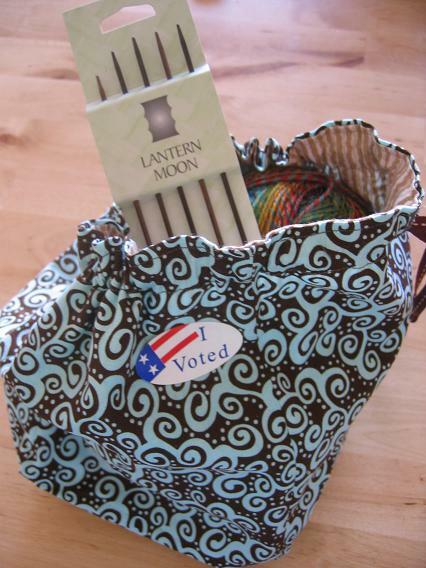 Yes it is very nice to knit with. Most people are crazy nuts about Opal, me=not so much crazy nuts for Opal. 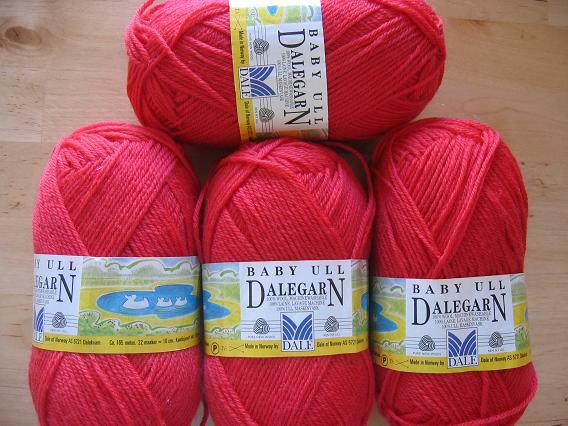 I think some of the new collections are okay, wouldn't mind knitting some of the "test" colors. I prefer Trekking, etc. 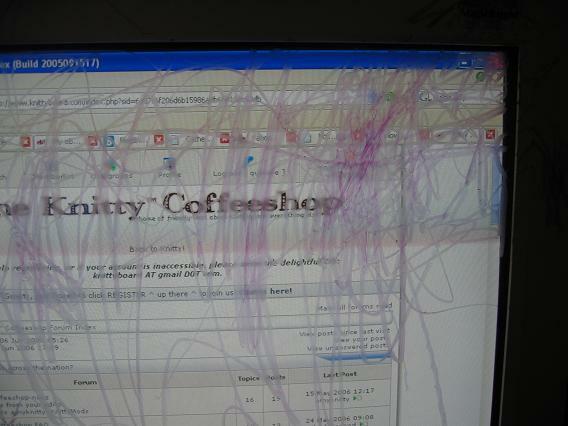 OMG, I'm laughing at your monitor art. I have three kids so believe me when I say that I'm laughing WITH you and not at you. Sometimes a glass of wine just sounds wonderful after a long day of kid farming. Cheers. I love ML - I've done DPN's, 2 on 2, 1 on ML and right now 2 on ML. I think my favorite way is 1 on ML. I dont' like the extra needle flapping around with 2 circs. If you give the cord a twist when you go to start a new row (so it has a loop vs a circle), it is less of a gap for teh stitch. Also, if you tighten the first stitch a little, it will tighten to the cord diameter, which is smaller than the needle - it will make sliding the stitches onto the needle a bit harder, but will tighten up the "join". I'll try and snap a photo of what I mean tonight if you want! Yikes! Great moniter picture. I'm interested to hear if the Opal magic bites you after you knit with it, too. It's on a big list of yarns I'd like to try if I ever run across it. I just haven't yet. That's a very pretty color of Silk Garden. I'll be interested to see which way you go with it. Thanks for the comment on my socks. It was appreciated. And ultra-cool, considering I <3 your socks/blog. holy crap about your monitor! *faint* did to crayon come off? I also wasn't too interested in Opal to begin with, but after you wash it...wow! That stuff blooms and softens like you wouldn't believe.